eTrigue DemandCenter Marketing Automation is a cloud-based marketing automation provider featuring easy-to-use campaign building. eTrigue aims to makes it simple for small marketing teams to manage all online marketing efforts from a single dashboard. eTrigue was born from agency-developed capability, none of the marketing automation vendors could provide a flexible system that was able to meet their agency needs. eTrigue is headquartered in Silicon Valley, with European headquarters in London. Incorporated in 2011. eTrigue is privately held. Are you looking for an eTrigue alternative for your email marketing? We listed some eTrigue alternatives. As a provider of cloud-based integrated marketing automation software, eTrigue’s DemandCenter helps marketers track and nurture prospects through inbound and outbound programs. DemandCenter tracks across email, web, mobile, and social. eTrigue DemandCenter’s integrated marketing suite is built to be attractive to medium and small organizations, as well as to divisions or groups within larger enterprises. eTrigue makes it simple for small marketing teams to manage all online marketing efforts from a single dashboard. 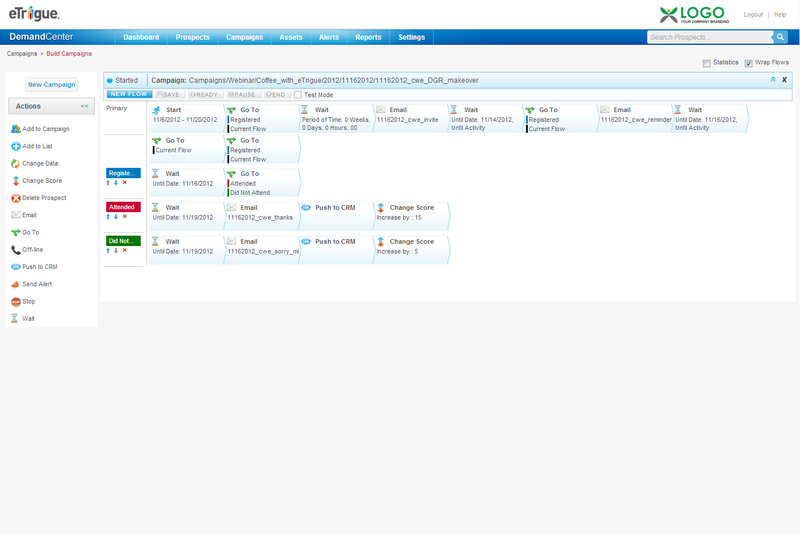 Full integration with major CRM, Webcast systems and ad-reporting systems. Real-time lead alerts are included for sales. eTrigue’s approach to marketing automation provides full functionality that is simple to build, manage – and change on-the-fly.